As you fill out an Ameristar Casino application, you’re aiming to join a family that is more than seven thousand strong. The company is spread across several states and aims to bring gaming closer to home. Links to apply for jobs at Ameristar Casino are at the bottom of the page. Ameristar Casino can be traced back to 1954 when “Cactus Pete” Piersanti opened a lodge just south of the Idaho border. In 1956, it became Cactus Pete Inc. and took over a neighboring club in 1964. However, in 1967, Ray Neilson partially took over the company after building several structures at Cactus Pete’s. In 1984, sole ownership was passed onto Neilson’s son, Craig, who ran the company even though he became a quadriplegic after a car accident. After Craig’s death in 2006, his son, Ray, ran the company with various CEOs until August 2013, when Pinnacle Entertainment bought Ameristar Casino. Before the acquisition, Ameristar Casino spent time and money to grow, starting a rapid enlargement in 1992, buying their first casino outside of Nevada in Missouri. At which point, the name was changed from Cactus Pete to Ameristar Casino. In the 2000s, the company kept expanding buying properties in Missouri, Colorado, and Indiana. Ameristar Casino values customers and guests having great experiences in their casinos and hotels. They also want those with Ameristar Casino careers to feel as though they’re safe coming to work every day. By encouraging staff members to give customers the best customer service that they can, they hope to have a positive environment for everybody in the resort. 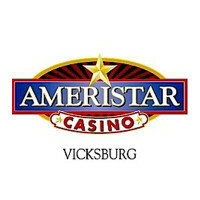 There are several Ameristar Casino jobs online that are scattered across the country in several different departments. Many positions require you interact with guests on a regular basis, making sure that you give the customer the best experience that you can. If you’re working behind the scenes, you’re still striving to give the guests the best experience that you can by supporting fellow staff members. How old do you have to be to work at Ameristar Casino? Age requirements vary by age, for some jobs you must be over twenty-one. Make sure that you read all job requirements closely as you fill out your Ameristar Casino application as some positions need you to have experience in certain areas or to have certifications. Those with Ameristar Casino jobs will get benefits through Pinnacle entertainment. They include a 401K, health and dental insurance, and paid time off. There’s also life, accidental death, and accidental dismemberment insurance. All benefits depend on what your employment status is, where you’re located, and how long you’ve served with the company. As all of Ameristar Casinos are attached to a hotel, the casinos are open all day and all night in order to attract all customers. Different parts of the hotels will have limited hours, which will be made clear at each hotel. Generally, actual restaurants and spas will have limited hours to allow staff to go home and rest between shifts as it is the same staff working day after day. Valet Attendant – Having a positive attitude and friendly demeanor is key as you welcome guests into the hotel. You will wear a uniform and maintain a strict confidence of guests and company policies and information while responding to reasonable guest requests and connect them to the proper person if you cannot help them. Compensation is around minimum wage. Steward – By helping to maintain a clean kitchen, you’ll ensure that the area meets all company and federal standards for cleanliness. As you clean dishes and various areas of the kitchens, you’ll help the chefs and fellow staff members keep to the high standards of the restaurants. Compensation is around minimum wage. Housekeeping Room Attendant – Keeping rooms clean is what this job is all about. By ensuring the cleanest of rooms, you’ll maintain the hotel’s high standards that the company strives to keep. Compensation is around minimum wage. EVS Attendant – You’ll work on a smoky casino floor to keep it clean for patrons as they play their games. Cleaning ash trays, cups, and trash in a positive and friendly manner are major parts of this job. Compensation is around minimum wage. Beverage Server – The main part of this job is serving drinks to patrons as they play their games in a friendly and positive attitude. When you’re not serving drinks, you will help maintain the cleanliness of the area to keep up with the positive impression that Ameristar Casino aims to hold up. Compensation is lower than minimum wage as your income will be supplemented by tips. Why do you want to work at Ameristar Casino? As this is an extremely common interview question, you should be prepared for it. Talk about what drew you to the company, whether it was the company culture or benefits, and why it’s your first choice. What experience do you have? Highlight any relevant experience that you have. Some jobs don’t require experience, so instead, talk about what you can bring to the job and to the company instead. Make sure to have examples that show why you’re a great fit for the company. Where do you see yourself in the next few years? Your interviewer wants to know if you’ll be with the company, so be realistic in your career expectations. Make sure that your interviewer knows that you’re willing to take on extra challenges and responsibilities in order to move up in the company. This question may be posed to you in the form of a hypothetical situation: How would you deal with an upset or drunk customer? Explain exactly what you would do and why. Be specific in your actions and be practical in how you would deal with them. How would you explain to a customer that you cannot fulfill an unreasonable request? Be honest and realistic in what you think an unreasonable request is. Then explain how you would tell a customer that you cannot do what they’re asking and why, being as straightforward as you can. How to apply for Ameristar Casino online: follow the first link, where you can search all of the open jobs. Make sure to carefully read the location and whether the position is full or part time before starting to fill out your Ameristar Casino application. Follow the instructions to register and fill out an application. There is no printable application for Ameristar Casino. Before your interview, do research on the company and the industry. Have a list of prepared questions to bring with you to your interview even though several of your questions will probably be answered. This seems excessive for an entry level job, but it will place you ahead of the other candidates. Have a positive and respectful attitude on the day of your interview, it will show that you’re already geared towards working for Ameristar Casino. As the interview will be formal, dress appropriately, in business casual, at the very least. If you’re going for a more managerial position, wear a suit to your interview. Show gratitude at the opportunity to interview with the company and enquire about the best way to check on your hiring status. Few applicants will learn whether or not they got the job that they applied for during their interview as the company will want to screen all candidates before making a final decision. Universal Studios: Visit the Universal Studios application. Seaworld: See our guide for careers at Seaworld. Rivers Casino: Rivers Casino offers opportunities for both, beginners and experienced roles. Family Video: For career opportunities, fill out the Family Video online application. Mandalay Bay Resort & Casino: Visit the Mandalay Bay Resort & Casino application.